CAT-Law Navigator: What’s in a (Storm) Name? TWC’s practice is controversial. On one hand, as opined by the editors of the Bulletin of the American Meteorological Society (which TWC linked to its 2016-2017 storm-names page), naming snowstorms is helpful for the efficient dissemination of information to those who might otherwise be unaware of a potential storm, particularly in the era of Twitter hashtags. Indeed, using names as a way to “avoid confusion and streamline communications” is a reason the National Hurricane Center of the National Oceanic and Atmospheric Administration (NOAA) began naming tropical storms some years ago. On the other hand, TWC’s storm-naming practices have come under attack—or, at least, eye-rolling—from those both inside and outside of commercial meteorology. When TWC first decided to officially take on the yoke of naming winter storms, rivals took to the internet to opine that TWC’s practice was for commercial purposes. The extreme looseness of TWC’s formula was evident in its most recently named Winter Storm Kori, which brought rain and snow to the west coast and mostly rain and snow to the northeast. Thus, snow isn’t even a criterion for a TWC winter storm—thanks to TWC’s flexible formula and, one would presume, global warming. Likewise, recent Winter Storm Helena travelled coast to coast, with snow resulting in some regions, sleet, rain and/or ice in others. Certainly, the practice of naming tropical storms has had a long history. Currently, however, the practice follows strict parameters based on wind speeds. “Tropical storms” that are named by the National Hurricane Center are those that reach speeds of at least 17 m/s (past 33 m/s and they are classified as hurricanes). Most commentators, including those in the insurance industry, would say that the verifiable, measurable classification of these storms makes them valuable benchmarks. In other words, if the storm is named, it has reached a certain level of power. The expansion in storm naming is a phenomenon worth thinking about from an insurance perspective. Will the practice of naming storms eventually cause homeowners to stop paying attention to the weather, the result of “crying wolf syndrome” on the part of the weather vendors and government entities? Or, will naming storms cause homeowners to be on heightened alert for storm-related home damage, a reaction that could result in an increase in both legitimate and illegitimate claims? 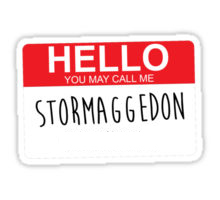 Naming storms could also lead to confusion over what a “named storm” means in the policy context. Typically, property policies use the term “named storm” to refer to storm systems that have been named by the National Hurricane Center or the National Weather Service. In the event of a “named storm,” a named storm deducible may apply, oftentimes a percent of the total insured value of the covered property. A named storm deducible is usually a grade below a hurricane deductible (also named by NWS/NHS) in terms of scope, and a grade above a wind or hail deductible. To the extent a policy extends windstorm coverage (where it would otherwise be excluded), the policy definition of a windstorm may be based on official “named storm” criteria as well.